On the long run, it’s almost impossible to keep moving forward with the sole power of the will. There must be a dream to back it up; an emotion that will help us pass the most impossible barriers and obstacles. But sometimes, especially when time seem to never-end before yielding the kind of success we seek, we may need to remember that success is by far secondary and comes way behind creating something that fills our hearts with joy and with the pride of achievement. Obviously, joining both success and fulfillment would be the ultimate achievement, and that’s all I wish for each one of us. And let’s not forget that success without fulfillment is, as Tony Robbins says, the ultimate failure. 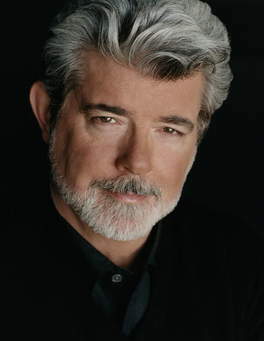 But the essence of it as George Lucas puts it is that “Making a movie isn’t that difficult. What matters is to find compelling stories; stories you want to see on screen!”. May we all never give up on your dreams! According to Lucas, what really lies behind movie making are simple things. It’s all about love of movie making, friendship and helping one another. The following video was created by Evan Carmichael, and I re-edited it a bit to make it more effective.